The 2018 ordering period is closed. Each year, the book ordering period opens in May and runs through July, with several reminders throughout the period. In May 2019, we'll update this page with the new selections for 2019, and announce the opening of the book selection/ordering period then. 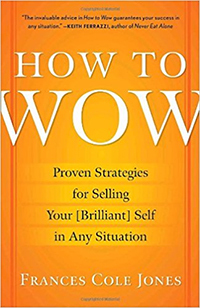 Featuring tips and tricks you can employ right away, How to Wow will teach you how to ask the right questions, respond with confidence, and wow anyone, anywhere, anytime. Among the first female reporters at The Wall Street Journal, Joann S. Lublin faced a number of uphill battles in her career. She became deputy bureau chief of the Journal's important London bureau, its first run by women. Now, she and dozens of other women who successfully navigated the corporate battlefield share their valuable leadership lessons. 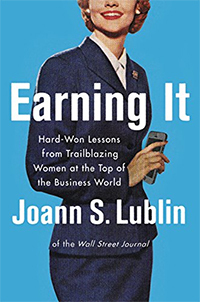 Lublin combines her fascinating story with insightful tales from more than fifty women who reached the highest rungs of the corporate ladder — most of whom became chief executives of public companies — in industries as diverse as retailing, manufacturing, finance, high technology, publishing, advertising, automobiles, and pharmaceuticals. Leaders like Carly Fiorina, former CEO of Hewlett-Packard, as well as Mary Barra, CEO of General Motors, and Brenda Barnes, former CEO of Sara Lee, were the first women to run their huge companies. Earning It reveals the obstacles such women faced as they fought to make their mark, choices they made, and battles they won—and lost. Lublin chronicles the major milestones and dilemmas of the work world unique to women, providing candid advice and practical inspiration for women of all ages and at every stage of their careers. The extraordinary women we meet in the pages of Earning It and the hard-won lessons they share provide a compelling career compass that will help all women reach their highest potential without losing a meaningful life. Living a meaningful, satisfying life is an enigma for most people today. We feel stuck, small, without the self-confidence to move in the direction of what we really want. Or, if we do muscle through our fear in pursuit of our dreams, we exhaust ourselves working and striving and achieving and yet somehow, no matter our level of outer-world success, are left dazed and disheartened, asking ourselves, "Is this all there is?" 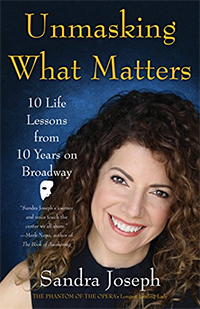 In Unmasking What Matters, Joseph uses lessons learned on the road to Broadway, during her decade as Christine, and through the challenges she faced after walking away from the business to show readers how to courageously bring their inner voice to the outer world, stop seeking success for achievement's sake and start creating the life they truly desire. Warm, humble, encouraging, and inspiring, Unmasking What Matters can help anyone move from stuck, fearful, and playing it safe to embracing their passions, gifts, and opportunities and living life "full-out" today.